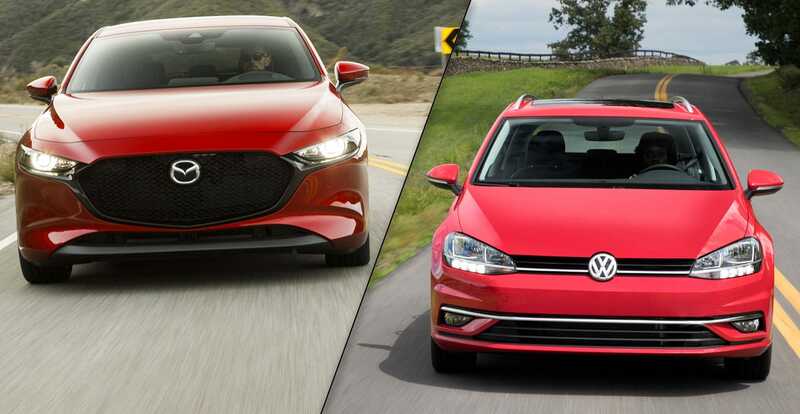 We published two Mazda3 comparisons this week as well as two spec comparisons featuring the 2020 Mercedes-AMG A 35 and the 2020 Porsche Cayenne Coupe. Here’s an overview. With the 2019 Mazda3 now offered with all-wheel drive, it has a new set of direct competitors, but you can count them on one hand. There are very few compact models offered with all-wheel drive, one of them being the Volkswagen Golf Sportwagen. Matt, who owns a Sportwagen and how drove the 2019 Mazda3 last week, was in a good position to review both. In the end, he came to the conclusion that the Mazda3 was the better car. Read his full Mazda3 vs Golf Sportwagen comparison here. 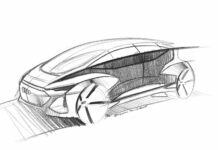 The 2020 Mercedes-AMG A 35 was unveiled on Tuesday, 8 months after reports first surfaced that it was coming, and a few weeks after the 2019 A-Class went on sale in Canada. The A 35 packs a 302-horsepower turbocharged engine which puts directly in the 2019 Volkswagen Golf R’s path. 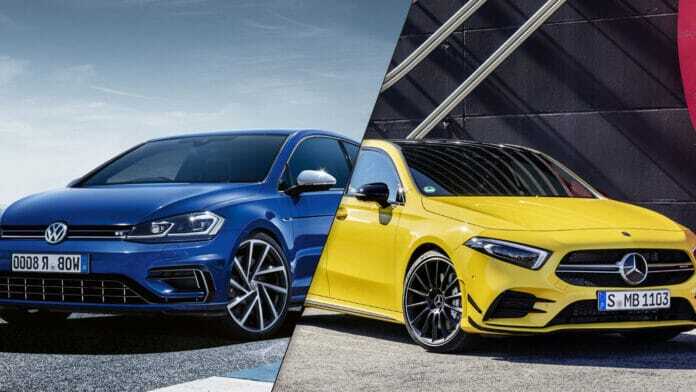 Not having driven the new AMG A 35, we could only guess about how it will compete with the Golf R on the road. There was a lot of speculation in this comparison test, but we came away with the feeling we will absolute love the new Mercedes-AMG A 35, maybe even more than the Golf R.
Check out our 2020 Mercedes-AMG A 35 vs Golf R full spec comparo. Another 2019 Mazda3 comparison test, this time between the new AWD Mazda hatchback and the queen of AWD compacts, the 2019 Subaru Impreza. The main issue hurting the Mazda3 against the Subaru Impreza is that i-ACTIV AWD in the Mazda isn’t standard. You can get AWD at a lower price point in the Subaru. That said, the Mazda3 is the more modern, better driving of the two. Check out our comparison of the 2019 Mazda3 and the 2019 Subaru Impreza. 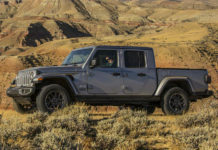 These two new luxury SUV coupes are essentially brothers. 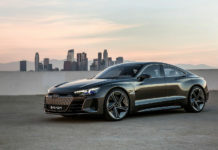 The 2020 Porsche Cayenne Coupe unveiled less than two weeks ago takes a host of components from the Audi Q8, but it does offer a 4.0-liter biturbo V8 with 541 horsepower that you won’t find in the Q8. It’s also more expensive. 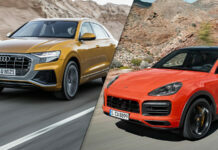 For the moment, however, these are the two most modern luxury SUV coupes as we await the new Mercedes-Benz GLE Coupe and the BMW X6. 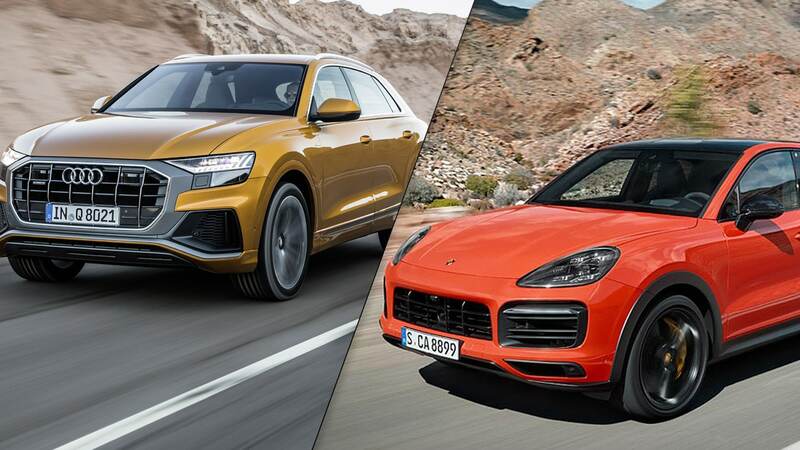 Check out our 2020 Porsche Cayenne Coupe vs 2019 Audi Q8 spec comparison test.